Famed as the only city to straddle two continents, Istanbul offers a wealth of history and culture that befits its geographical location. As a city that was the capital of four empires (Roman, Byzantine, Latin and Ottoman) history lurks around every corner. Dennis Jarvis – Bridge connects Europe to Asia. Instanbul, Turkey. 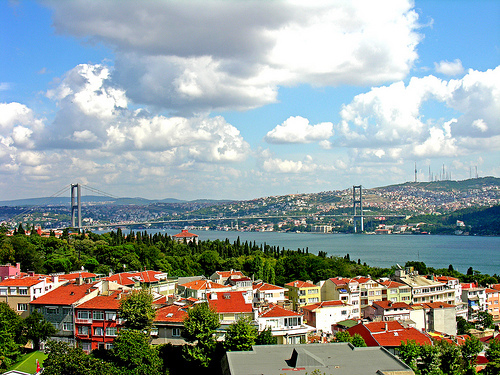 The city has been built on both sides of the glittering Bosphorus, which separates the European side and the Asian side. Most people visit the European side, which is arguably better equipped for the modern traveller, but the Asian side offers a great deal too. The Asian side tends to be described as calmer, with tourists receiving less hassle to buy the many goods that are on sale. 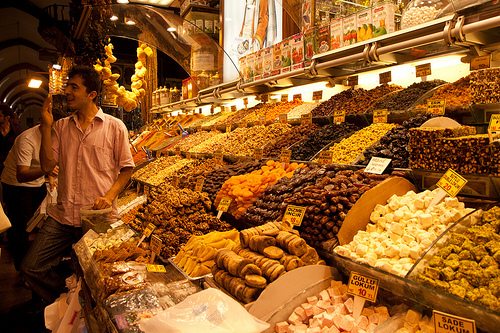 Indeed, if you stroll around certain districts you’ll soon be of the opinion that Istanbul is one of the true shopping capitals of the world, with whole streets seemingly devoted to certain items – such as rugs or toys or sauce pans. Despite eager shop keepers, wherever you go in Istanbul you’re likely to be struck by the friendliness of the locals, all the more surprising given the fact Istanbul has an estimated 13 million inhabitants – depending on which boundaries are used and indeed who you ask. The must-see attractions of Turkey’s biggest city include Topkapi Palace, Hagia Siphia and the Blue Mosque. The focal point for most tourists is the Sultanahmet area, which boasts all manner of historic buildings, restaurants, cafes and the famous Grand Bazaar. Get a sense of how epic Istanbul is by taking a boat trip along the Bosphorus, where your vessel will weave its way among the other boats and supertankers that move up and down this immense waterway. 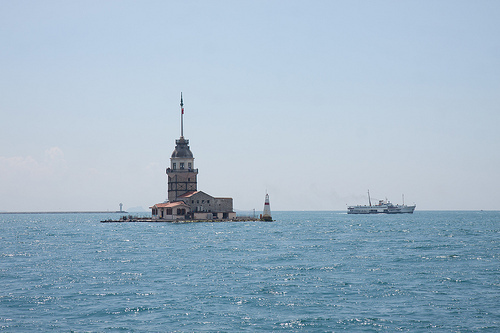 You could easily spend a month in Istanbul and still have plenty left to discover. A truly global city whose friendly inhabitants and chilled out atmosphere will make it very hard to leave. This entry was posted in Travel Advice on October 3, 2012 by worldwideinsure.